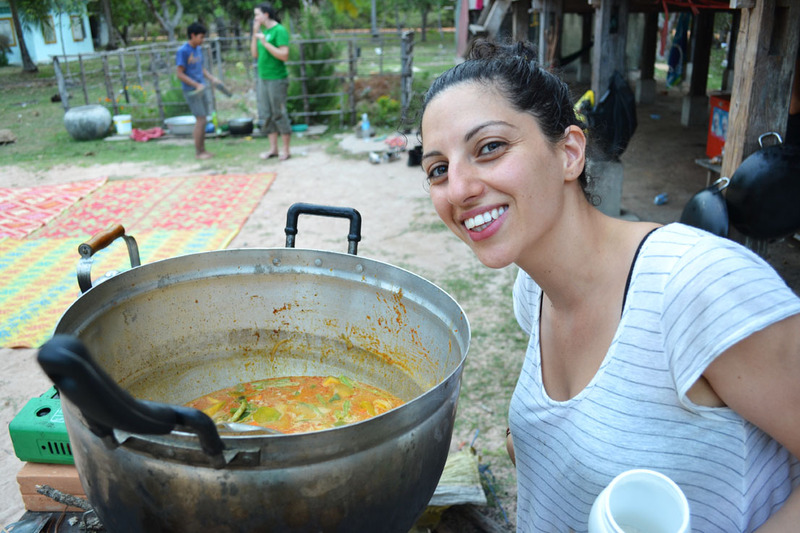 In the village, volunteers cook for each other. Breakfast, Lunch and Dinner. We all go vegetarian. We all must start fires with wood (gathered from around temple & school grounds). We having many cooking disasters, which are quite funny. Here, Rosie is cooking us some amazing curry!